Computer-related repetitive strain injury (RSI) is common. It can be anything from your hand feeling cold to full-blown discomfort in your neck, shoulder or arm. You work slower, become less efficient and the result can be protracted pain. 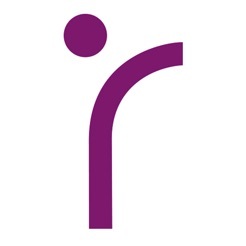 WorkRight-Computer!™ provides advice for working at a computer in ways that prevent RSI and musculoskeletal disorders (MSDs). The app has been downloaded in more than 30 countries! Be aware of that smartphones and tablets also cause strain to your neck, shoulders, arms and hands. EnergyBoost-Relax!™ helps you relax tense muscles which will also help you to wind down during the day and gives you a natural energy boost. 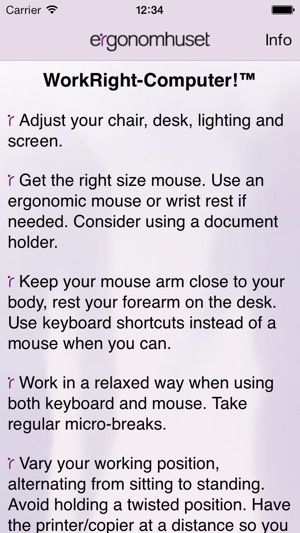 ComputerXercise!™ have tips for training your neck, shoulder and arm muscles when taking a break during work at the computer. 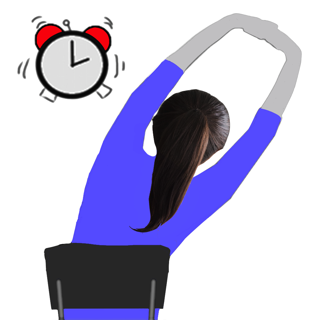 You can choose to play separate exercises at different times of the day with reminders. Need advice about how to adjust your chair, desk or workstation, with instructions on how to work in a more relaxed way? Contact us at info@ergonomhuset.se for a virtual workplace visit with an expert in ergonomics via Skype for example, or request our web program eLearning Computer ergonomics© which also contains advice on RSI prevention and information about what to do if you are experiencing discomfort or pain. © Ergonomhuset AB. All rights reserved.